Here's a tasty and also simple to make garlic chutney to spice up your meal, while giving you the benefits of eating garlic without having to eat it raw. 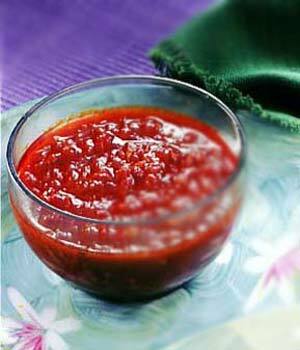 I like the way this chutney kick-starts your palate when food gets monotonous. You can increase your water intake throughout the day. There's a clever little line in the Jimmy Buffet lyrics "Fruitcakes" when his 'lady' is lamenting: "I treat my body like a temple, You treat yours like a tent". If you want to get bigger arms, finding the great ways to build muscle can be a bit. I read this post fully concerning the comparison of latest and earlier technologies, it's amazing article. Aw, this was a very good post. Taking a few minutes and actual effort to make a really good article… but what can I say… I procrastinate a lot and never seem to get nearly anything done.